There is war coming! Tonight in fact. We brought you fair warning in our previous posts on World War Yeti IV Custom Group Show being held at Mothership Toy Gallery in Philly! Today we bring you the pics of the custom Kidrobot Dunny that PJ Constable has created for this show. Rakshasa! This 5inch Dunny is PJ’s take on a beastly Yeti, covered the majority of the piece in clay whilst keeping to the form of the Dunny and extending the arms. We really like what PJ has done with this custom. 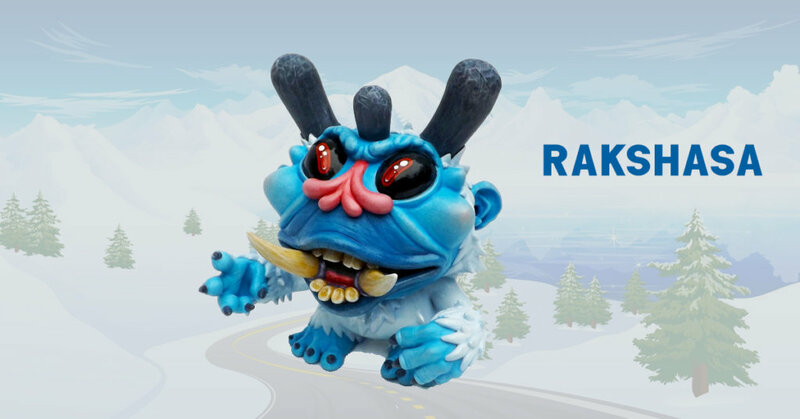 Rakshasa will be available to purchase direct from Mothership Toy Gallery, priced at $895 (£678). Check out more pics below…. PJ can be found on Instagram HERE. You can read all about the World War Yeti IV show HERE. If you’re in Philly tonight, head on over to Mothership Toy Gallery!